TENS of thousands of people would be ready to move or buy a home - but too few new properties are being constructed. Existing homeowners are "locked in" to the market as they are either unable or reluctant to move. More than 80,000 would-be buyers are ready to purchase immediately, according to the latest KBC Homebuyer report. It could be four years before the backlog of potential buyers is fully cleared, according to KBC Bank economist Austin Hughes. The survey, which is based on a sample of 2,000 people, found a wide range of factors have come together to create exceptional demand for homes, but a desire to "put down roots" is one of the key reasons. Most potential buyers want a home that they will stay in for the rest of their lives, with few considering starter-type homes. 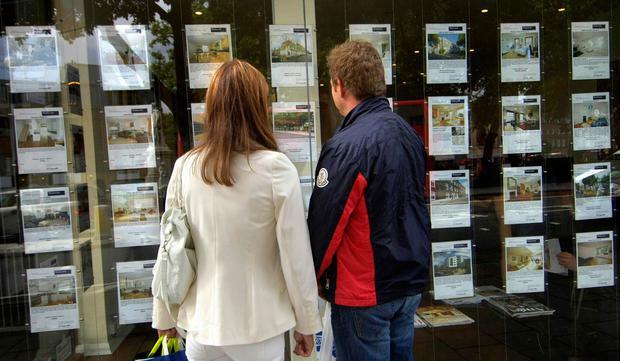 The bulge in demand is one of the key reasons for the double-digit rise in house prices. Those who want to buy cite reasons such as a desire to move out of a rental, a need to start a family or to move to a bigger home. Smaller numbers are motivated by a feeling there is more money about, or a fear prices will keep rising. As many as 300,000 buyers were likely to seek to purchase by 2020, KBC said. But with just 50,000 transactions a year, it will take at least two years for most to realise their dreams. Only around 20,000 new homes a year were coming on the market, Mr Hughes said. What he called the "locked-in syndrome" is clogging up the market as it is stopping people moving home. This is acting to suppress the number of transactions. People want to move, but they are unable to get a big enough deposit together, cannot find a suitable property to downsize to, or are reluctant to move as it will mean losing a good-value tracker mortgage. And more than half of those surveyed expect to have to compromise on where they end up buying, and on the type and size of home they purchase. The chronic shortage of new and existing properties for sale means large numbers of potential buyers expect to take much longer to get a home of their own than they previously thought. A majority of those surveyed by Core Research for KBC said it was more difficult to buy a suitable home now than it was a year ago. There is a strong sense that demand is on the rise, as 70pc of those surveyed said they thought more people were looking to buy a home now than a year ago. More than a third of prospective buyers say they will now purchase more than a year later than they originally planned. Mr Hughes said: "Pent-up demand for housing supply is a key constraint as consumers look to purchase and put down roots. "It remains to be seen how quickly supply will come on stream to satisfy the estimated 300,000 looking to purchase between now and 2020."